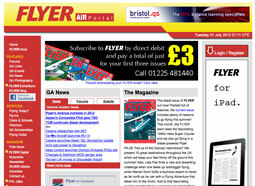 A free to use site which provides web based flight planning software. The free version is useful and can be used to create a PLOG based on the route you enter but, as you might expect, some features are not available unless you upgrade to the full version. Although I haven't used it for an actual flight yet, I found it intuitive and easy to use and obviously a lot of thought has been put into the design. For instance the software will show you NOTAMS along your intended route and can also file flight plans for you, based on the route you plot. There is a PC software version as well as a fully featured web based version, both of which can be evaluated for 30 days at no cost. Also, there is now a mobile version which is being launched in August 2011. My conclusion? Its definitely worth a look. 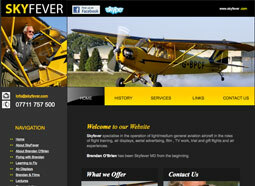 Want to learn aerobatics or do something different? Why not contact good friend of Alouette, Brendan O'Brien? His aviation experience includes over 300 hundred types, both fixed wing and rotary, and he has logged over 13,000 hours to date. There are a number of sites that offer various types of advice on this subject but they do not always provide a combination of expert, unbiased, comprehensive or clear and easy to understand information to help find out what it takes to become a pilot. Start to Fly has been written to overcome this and more! 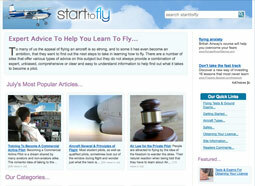 It is a unique site where you can find out just about anything you need to know about starting to fly albeit as a career, hobby or even just for the experience of taking a trial flight. 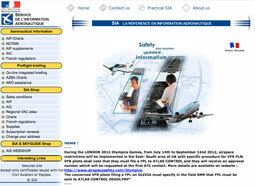 The French Aeronautical Info Service is a tad more user friendly than our own dear CAA version. Whatever, it's worth a dabble. You need to click on the little flag top right to get the English version. Cursor on NOTAMS then click 'Narrow route'. Put in your flight details and you get Notams along whatever corridor you specify. 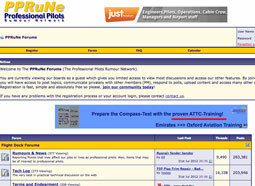 For those dreaming of a career as a professional pilot, a good source of information is PPRuNe. 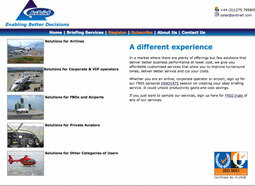 Get registration details of UK aircraft from the G-INFO database. The NATS web site provides free access to products such as: UK Aeronautical Information Publication (AIP), UK AIP Supplements (SUPs), Aeronautical Information Circulars (AICs), NOTAM and VFR Chart Newsletter & Update Service.